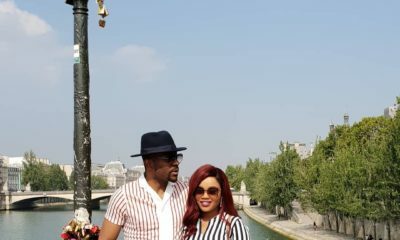 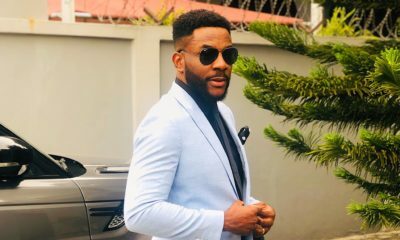 Ebuka Obi-Uchendu, host of Big Brother Naija Season 3 stepped out in two of what we’d like to call his favourite brands, Mai Atafo his all-time love and Ugo Monye, his new found love. 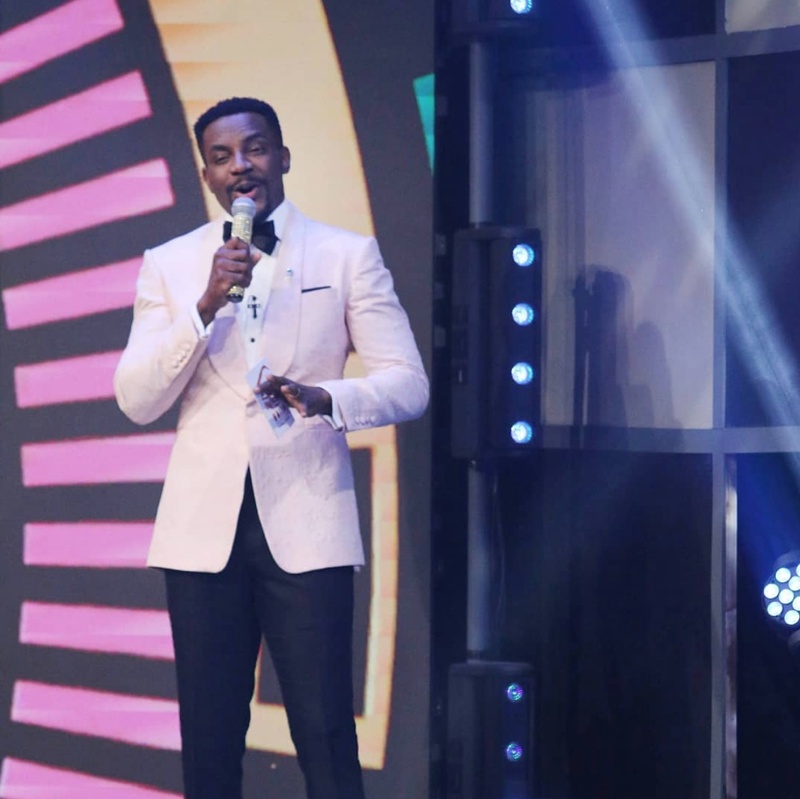 For his first look, Ebuka wore a pink embossed jacquard shawl lapel tuxedo by Mai Atafo. 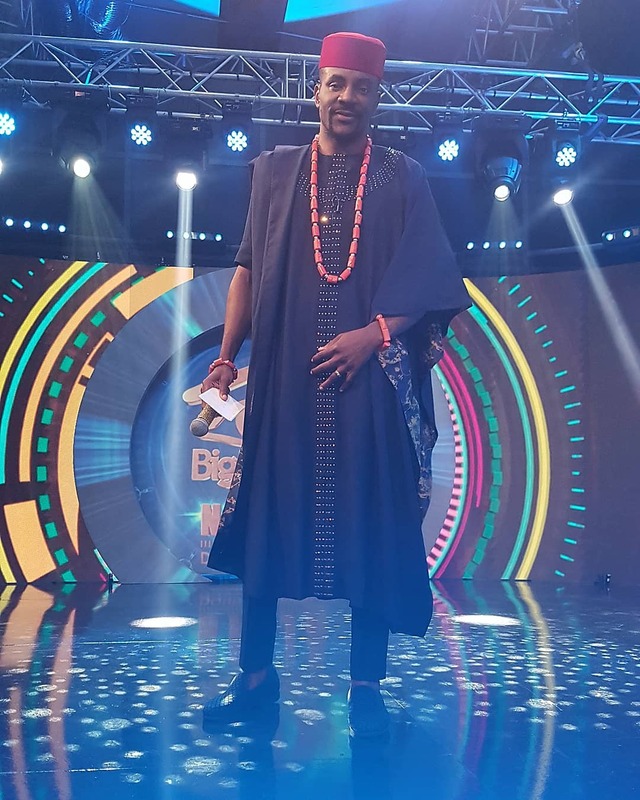 For his second and final look, he wore a Ugo Monye’s new take on the agbada, with crystals around the neck and down the front. 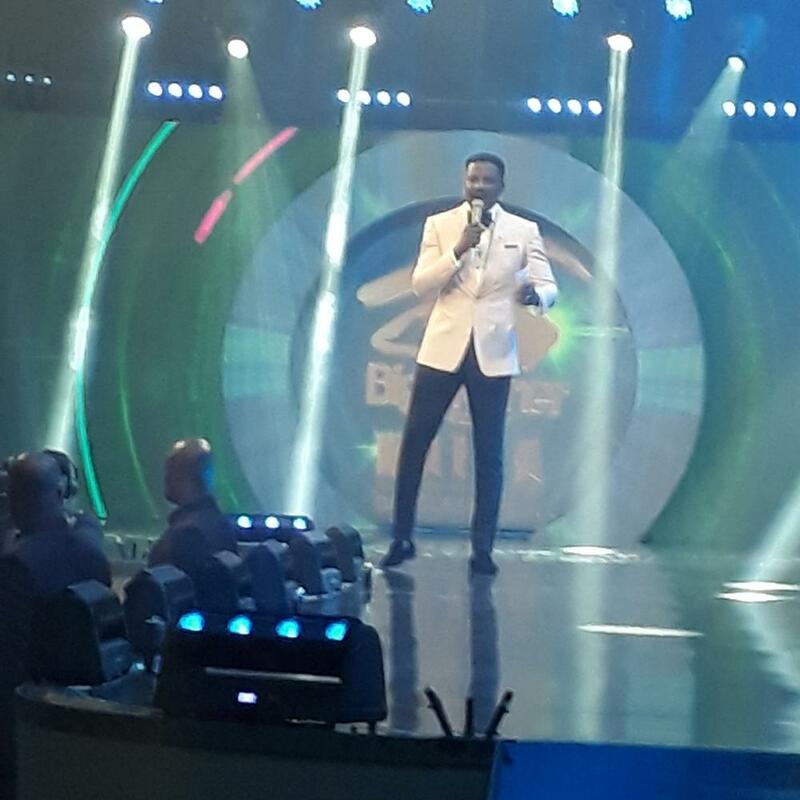 The designer added a hint of print with a tapered patterned/floral lining detail along the sleeve.